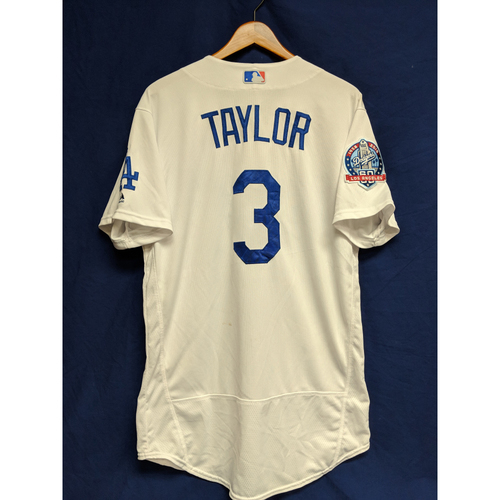 This Jersey (Size 46) was custom Made for Los Angeles Dodgers Outfielder Chris Taylor for the 2018 season. 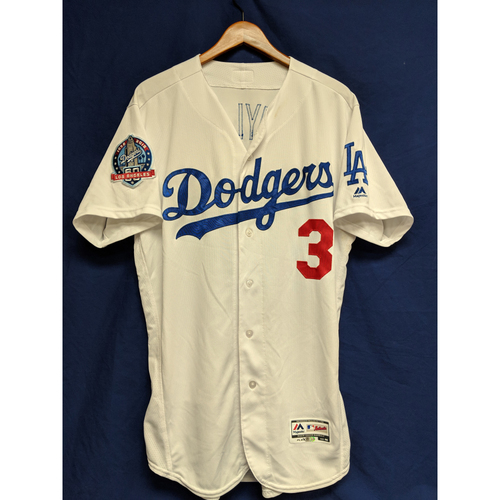 This 2018 jersey celebrates the 60th anniversary of the Dodgers moving to Los Angeles with a special patch on the right sleeve. This Jersey was used during the final game of the regular season Tie Breaker game at Dodger Stadium against the Colorado Rockies on October 1st. 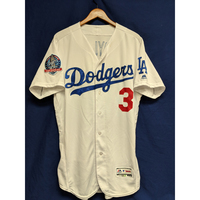 The Dodgers would win this game 5-2 to win their 6th straight National League West Title.